I'm a huge television buff. I've got my growing list of favourite shows, whether they're comedies, dramas, or even reality shows that I can't stop watching. However, sometimes when I really start to get into a new show, the network decides to pull the plug. The following shows are a few programs that I've enjoyed in the past that were either cancelled before their storylines were resolved, weren't renewed for another season, or finished their plot without any notion whether a new series would be coming up with a similar premise. I don't think many people really saw the potential. While it only aired for two seasons (cancelled 6th episode into the 2nd season), I felt that Eliza Dushku really showed off her acting skills. The plot was easy to handle: Tru Davies (Dushku) had to relive the same day over when a dead body would ask her for help to try and save their life. It was a perfect mix of real life issues with a supernatural feel. Too bad people got to miss out on the further storylines of where the show could have taken her character. Another FOX network casualty, Point Pleasant had the potential to bring supernatural drama to its peak. Though of all the episodes had already been filmed for the first season and were aired in parts around the world, the network choose to stop airing the show after episode 8; nevertheless, the show was cancelled. The plot: Christina, a seemingly innocent girl, turns out to be the daughter of Satan and is destined to cause destruction and the end of the world. 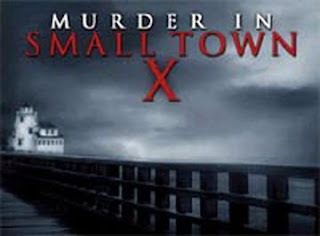 At the beginning of the reality show phenomena, Murder in Small Town X was brought on as a summer experiment to see where the genre could go. Plot: 10 contestants are brought to a fictional town to help solve the murder of a local family before the serial killer starts to pick off the rest of the townsfolk one-by-one. Ratings were low but they weren't terrible. FOX could have reworked the show for a second season and changed the format a bit. Luckily all the episodes were aired but I felt that early on, it wasn't really given a chance to grow. 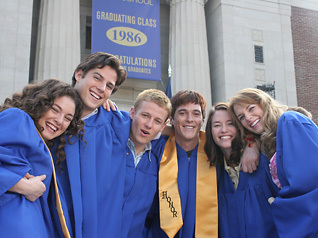 The plot: each episode followed a new year between six friends that lead to their graduation night where one of them is murdered. The mystery was intriguing because you didn't find out who died until a couple of episodes in. 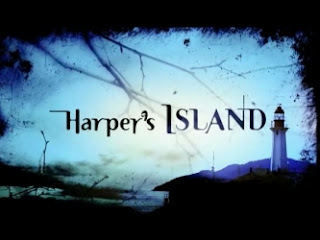 The network cancelled the show after the initial 13 episodes and didn't make more so the mystery was never really solved. Bit of a let down, don't you think? 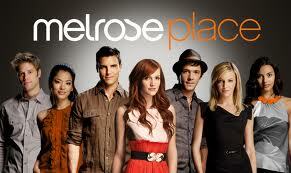 This show had premiered at a time when I wasn't more inclined to follow shows. I didn't have the WB on my television, so unfortunately, I missed the original air-date. The plot: two alpha girls from two separate social sectors (the popular and indie cliques) are forced to live together and become sisters when their parents meet on a singles' cruise and get married. The jokes were hilarious, the cast was amazing and I felt that the network made a huge mistake by cancelling the show at the end of the second season. Another Eliza Dushku show cancelled before its full potential. What makes this show different is that Dushku was able to get Joss Whedon on board. Unfortunately, the time slot was less than stellar and people didn't grasp the plot. 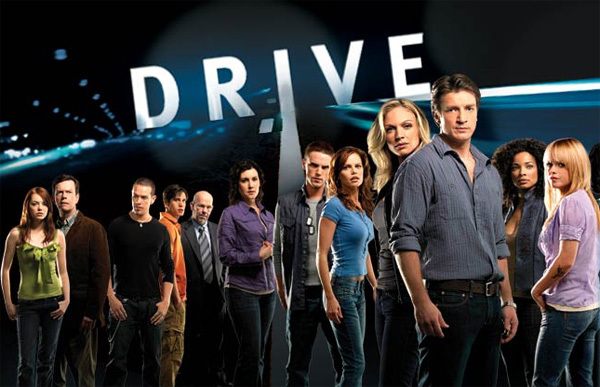 Whatever the circumstances were, fans alike loved this show and fought tooth-and-nail for a second season. Too bad the second season was the last. I was immediately drawn into the show when I saw a strange promo airing on Global. The plot: a wedding on a remote island off Seattle is interrupted when a serial starts to pick off the guests and island residents. Luckily, all 13 episodes were created and aired on TV so we got to experience the entire storyline and anticipation for who would be killed off next. The reason it's on the list is because of the uncertainty of another series with the same concept. I don't mean the wedding on the island, but the scenario where one of 25 main cast in the series would be the killer and someone from the list (or more) would be killed off each episode. Hopefully CBS agrees to do another series but right now I'm just crossing my fingers. Just like Popular, I never got to see this show during its original air-date. I just finished watching through the three seasons and I can't believe that the network choose to end it. The plot: a mysteriously boy without a bellybutton is found walking the streets by as the story develops it turns out he is an incredible experiment that can do amazing abilities. Even though some of the concepts were science-fiction, the show was grounded in real issues with the main character Kyle adjusting to his new life. This is the most recent cancellation. I am always into The CW shows and instantly liked 90210 and Gossip Girl. I absolutely loved it enough that I watched the previous series from the 90s. The storylines weren't all that great and when the murder was solved, nothing really propelled people to continue watching. The other problem: Ashlee Simpson. I had hope she could pull it off but nothing I could say could reiterate the disaster I saw on screen. I wish it was still on the air because I really loved it for its characters and the soap opera/drama genre but I agree that there would need to be some improvements. I agree about the show 'Popular'. It's very different from shows nowadays. Fast forwading to present time, Ryan Murphy produced the show Glee and it is off the charts in ratings. I guess the world just wasn't ready for Popular.